Staff Highlight: Meet Allie Livesey! We are so excited to have Allie Livesey working with our Outreach & Education program this Winter and Spring. Read on to learn more about Allie! Greenup's Water Programs Manager, Heather Ray, wrote an article prior to World Water Day which features TRACKS' and Greenup's partnership on the issue of clean safe drinking water for all and a WWD twitter contest. TRACKS Youth Program is calling for Indigenous youth to create and submit their artistic interpretations of the Seven Grandfather Teachings. Read on for submission details! In our work with youth and advocacy for the water we will never forget to follow in the footsteps of Grandmother Josephine Mandamin. Staff Highlight: Meet Jessica Frappier! Read on the meet our newest TRACKS Oshkwazin staff member, Jessica Frappier! We are so excited to be working with Jessica this Winter Semester. Media: TRACKS in the Peterborough Examiner! We are very pleased to make public our Annual Report for 2018. Read more to access the pdf. Please see the attached for the full job posting for a part-time TRACKS Oshkwazin Youth Program Support position. Contact oshkwazin@tracksprogram.ca with your application. Thank you! TRACKS is a member of Actua, a National STEM network of 26 universities and colleges across Canada. Each Fall, Actua holds a meeting which gives the Directors of network members the opportunity to meet with one another, debrief on our busy Summers, and gear-up for the New Year ahead. Read on to hear about TRACKS's experience at this year's Fall Directors Meeting. 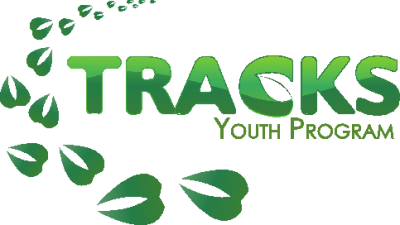 TRACKS Oshkwazin is a new youth leadership initiative run through TRACKS Youth Program. For two months this Summer, Oshkwazin spent time laying a foundation for the program. This past week, Oshkwazin held its first two youth group meetings which went great thanks to all the planning that happened this Summer. Read on to learn about all the work and inspiration that went into Oshkwazin's development and planning this Summer! ​Oshkwazin staff were fortunate enough to attend the Intertribal Food Sovereignty Summit at the Mashantucket Pequot Tribal Reservation in Connecticut. This conference was a week long and full of incredible learning opportunities, delicious food and great company. Some of the theme highlights were food system change, decolonizing your diet, tribal farms, seed saving, food sovereignty initiatives and a feast that was prepared by Sioux Chef, Sean Sherman. Read on for Amber Pitawanakwat's refection on what she learned at these sessions!